The Security Committee of the Students' Union welcomes both fresh and returning students back to the University. 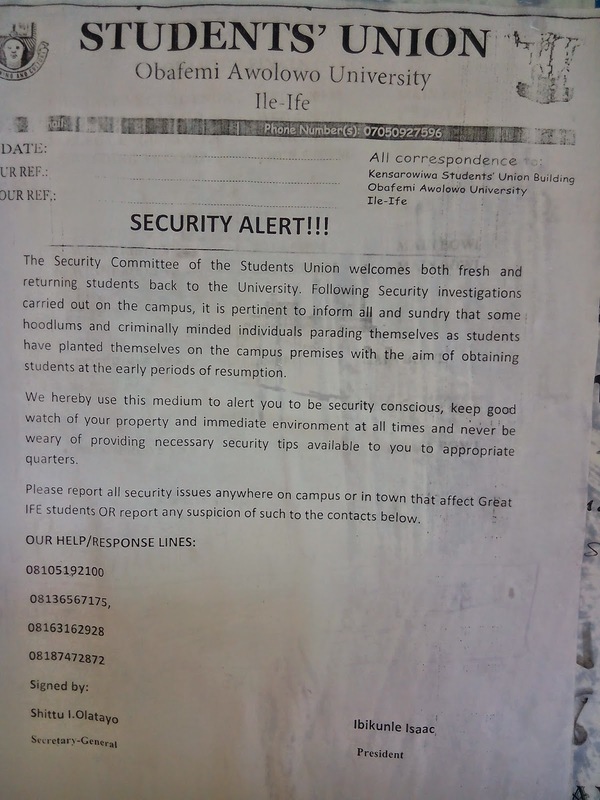 Following security investigations carried out on the campus, it is pertinent to inform all and sundry that some hoodlums and criminally minded individuals parading themselves as students have planted themselves on the campus premises with the aim of obtaining students at the early stage of resumption. We hereby use this medium to alert you to be security conscious, keep good watch of your property and immediate environment at all times and never be weary of providing necessary security tips available to you to appropriate quarters.